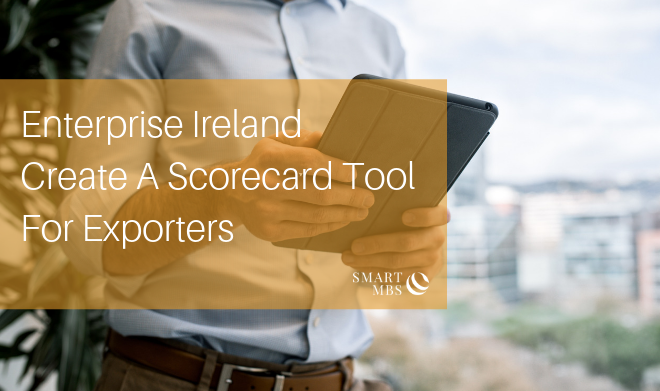 In August Enterprise Ireland released a new tool for companies, the Prepare to Export Scorecard. The tool is designed to help companies self-assess their preparedness for the export market. Much of Irish exports are undertaken by the multinational companies that have made Ireland home for some of their operations. For example, in a previous blog post we outlined that Ireland is home to 90 pharmaceutical, many of whom are multinationals and 40 of which are FDA approved to sell products into the United States. Among the 90 companies here, are some of the top 10 largest pharmaceutical companies in the world (think Merck, Pfizer and Johnson & Johnson). This makes Ireland the 7th largest exporter of medicinal and pharmaceutical products in the world. In 2017 Ireland exported €122.5 billion worth of goods. Imports totalled €79 billion, leaving the country with a trade surplus of €43.4 billion. In the first half of 2018, exports are up a further 10% (€69.2 billion versus €63.1 in 2017). Thanks to our free trade agreements, the EU is a significant destination for much of Ireland’s exports. In 2017, 51% of exports from Ireland went to EU members, including the UK. Brexit remains an unknown quantity, but it looks like Ireland is in a position to benefit should the UK depart the EU. For North American companies, Ireland is the perfect entry point to the EU market that represents 28 countries and 500 million people. If you are planning to expand your company into international markets, using the Enterprise Ireland exporter tool could be a useful exercise to help you weigh up how prepared your business is. Of course, you don’t have to set up operations in Ireland to export into Europe, but our 12.5% corporate tax rate may be a reason to consider an expansion strategy to compliment your export activities. The scorecard has six sections and provides a good template for assessing how your business can develop and implement an export-led business plan. Have you thought about and documented your plans for the future of your company? Are the plans achievable? Are they sustainable? Do your commercial plans stack up with the skills you have available within your company? Are there any deficits? Can these be filled by hiring or training? Have you considered how you will generate business in overseas markets? Is there a demand for your product or service? Is the demand being met presently? Can your product/service be adapted for an overseas market to make it better than what is currently available? Can you met the new demand that export markets will create? How scalable is your production capacity? Do your budgets adequately cover the capital required to export and potentially expand into new markets? Is your company considering exporting or expanding overseas? If your company is planning to export, your efforts could become a lot more fruitful in Ireland’s lower corporate tax rate environment. If you want to see how Ireland could play a role in your company’s future, please fill in a few details in the form below? While you’re waiting for the call back, why not download our eBook for more information on Smart MBS? Be the first to get the expert tips.